No matter how many baptisms we have had and will have at Vision Baptist Church it will always be one of my favorite parts of the service. I love seeing people desiring to be obedient to Jesus Christ through their unashamed proclamation of their new life in Christ. 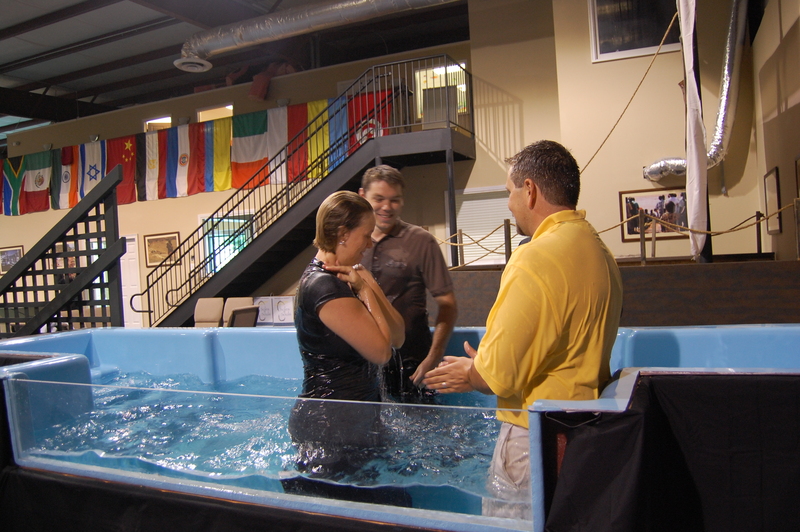 It was also exciting to see Jonathan Marks baptize our newest church family members. Jonathan and Heather Marks are M.I.T.S. (Missionaries in Training) with plans of going to Japan. Heather and Anna have built a close relationship by going through the Foundations lessons together. The Moriartys have been a great encouragement to the people of Vision. Their zeal to serve and know God more as young believers has really been challenging to all of us. We are so thankful they have them serving and learning with us. 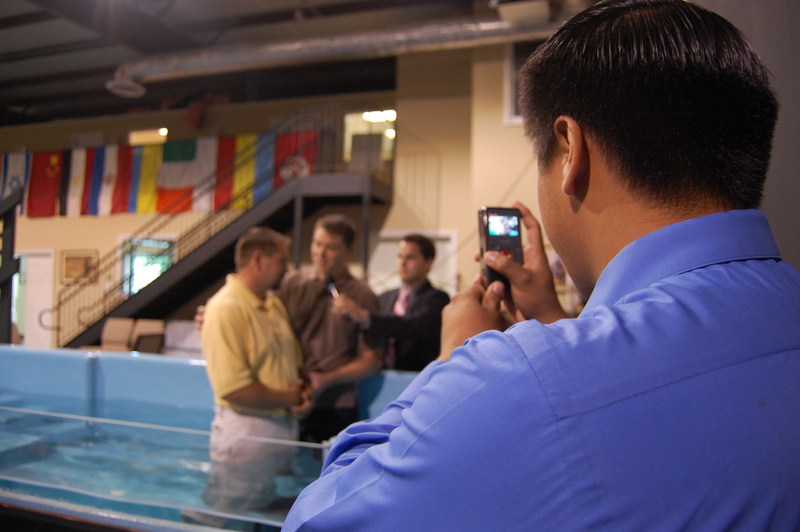 Below you will hear be able to watch the testimony videos that were played before Aaron and Anna were baptized. Aaron Moriarty Baptism from Trent Cornwell on Vimeo. Video testimony by Aaron Moriarty before his baptism. Anna Moriarty from Trent Cornwell on Vimeo. 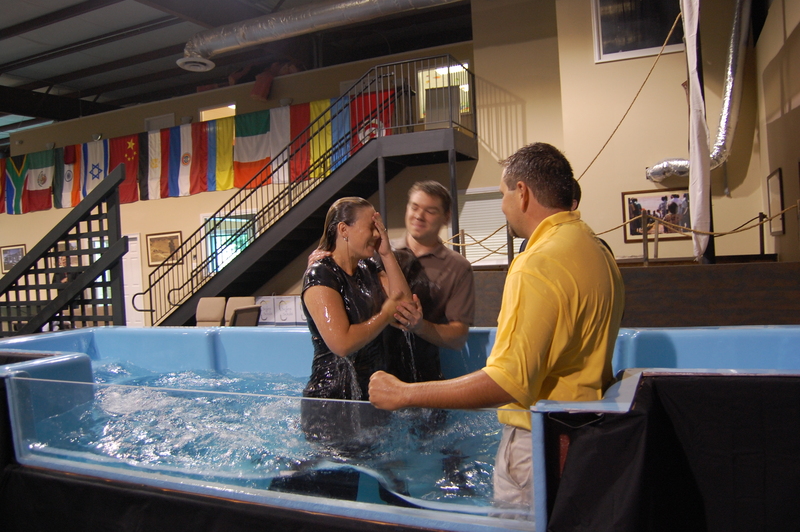 Video testimony by Anna Moriarty before her baptism. This is awesome! Keep on reaching the lost!